Award winning Entrepreneur, CEO of Elect Club and Matchmaker London, co-Founder of Love Match Retreats. Faculty Member and Trainer for the Matchmaking Institute. ICF (International Coaching Federation) Qualified, Coaching, Training and Mentoring for Dating and Relationships. MECM Masters qualified Matchmaker. Co-ordinator for iDate offline track for UK. Geneviève is often appearing on TV (recently SKY and ITV) Radio and in the media as a leading expert in her field. 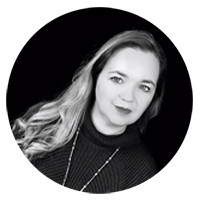 Geneviève has over twenty years’ experience in supporting people with their Relationship and Dating lives as well as peers in her industry. She has run a number of Dating and relationship businesses during her career from one of the UK’s first Professional Singles Dining Club’s over 20 years ago to online dating sites and now runs the UK’s Elite Matchmaking & Personal Introductions Agency, Elect Club, www.electclub.co.uk. She is the co-founder of the revolutionary way to heal your heartbreak and past with Love Match Retreats. Her best-selling online dating guide is like having your personal dating coach on hand to work through your online dating needs to ensure you are successful. Geneviève has helped thousands of clients find the right love offline and online and has worked all around the world as a coach, trainer, business leader and mentor. She coaches and mentors fellow professionals to support them and also assists with training matchmakers for the Matchmaking Institute.